Hyundai Motor India Ltd, the Indian arm of South Korean car manufacturer Hyundai Motors has added one more jewel in its crown after being positioned in top 5 best selling cars brand in Indian car market few days back, the largest car exporter of the country has been honored with most coveted Indian Car of the Year 2014 (ICOTY). Recently launched Hyundai Grand i10 set new standards for cars in hatchback segment delivering true value of money to buyers in form of enhanced quality, comfort and technical features. The ICOTY award is given by the committee consisting of Senior Editors from all leading automotive publications being published in country including Top Gear, Auto India, Motoring, Car India, Overdrive, Auto Bild, AutoX, Hindu Business Line and EVO. The relevance of award increases more in current scenario due to cut throat competition existing in Indian car market. Receiving the award Mr. B.S. Sen, Managing Director & CEO, Hyundai Motor India Ltd, said that company is overwhelmed on receiving the most respected award – The Indian car of the Year 2014. He also said that Grand i10 is the product blessed with superior features which has been developed keeping the Indian conditions in concern and receiving this award vouches the success enjoyed by it after launch. According to Mr. Sen the ICOTY also symbolizes company’s accountability of delivering product equipped with features like quality, durability and reliability. Mr. Sen also extended his thanks to jury members, customers and media for making Hyundai Grand i10 a huge success. 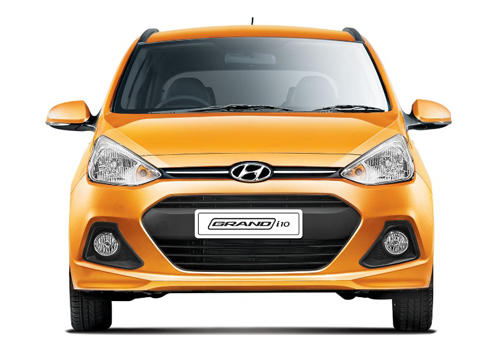 To read review of Grand i10 click here.